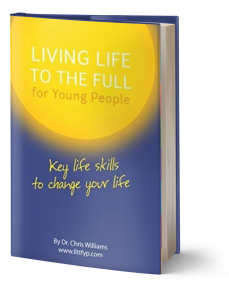 Our popular Living Life to the Full course has been adapted for those aged 13-18 years. As a Teacher or Young Person Supporter we have a range of materials for you. The course is offered in many different ways to support service need and young people’s different learning styles. It can be accessed online, via face to face classes run by Young People Supporters or Teachers upon purchasing a license or used one to one in book form, which can be used as its own intervention or to accompany the online or class sessions. 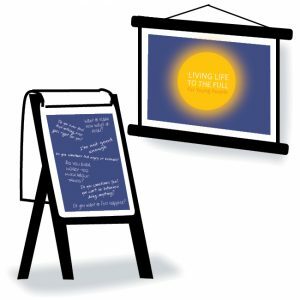 The Five Areas Team provide training for organisations on how to implement the LLTTF Youth course. To discuss please email training@fiveareas.com or check out our list of workshops.